Time for another round of collection of some of the best recipes and today it has come to one of the favorites for many people. It is finally time for the keto dessert recipe recommendations. I am always looking for new and good new recipes and if you have been visiting the last few days I have posted one article about the best keto salads and one about the best keto salad dressings. After all this salad I think we have made our self worthy of a little treat and what can be better than a keto dessert. 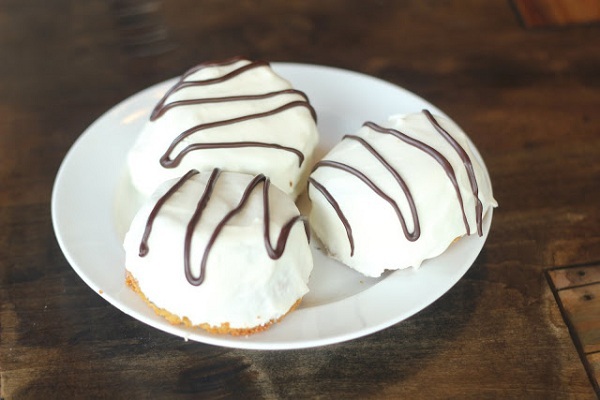 The first recipe is a remake of Zebra cakes and is called Little Debbie Zebra cakes. The recipe is made from the original recipe and modified so it will be low carb and perfect for a keto diet. 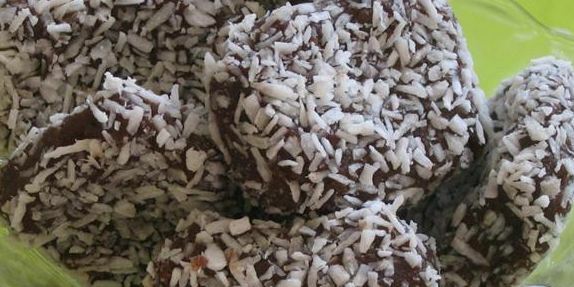 This keto dessert recipe is probably the most complicated of all the recipes I will post today but it sure looks tasty and I guess if you are up for a little challenge you will love this one. From the picture it looks just amazing and really tasty. I have not dared to try this one out yet but when I do I will for sure tell you guys. Head over to Maria’s Nutritious and Delicious Journal for the full recipe. The second keto dessert recipe is for a Brownie cheesecake that is both low carb and gluten free. This is the perfect combination of a brownie and a cheesecake, and it is also keto friendly for all us keto lovers. 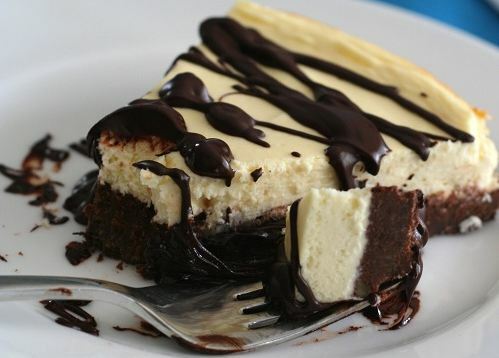 If you would like to only make the brownie or the cheesecake you can of course split up the recipe but I recommend you to do it according to instructions and really enjoy a great taste combination. Each serving has 6 grams of carbs so can not eat too many of them of you are strict with your keto diet, but sometimes you should be allowed to treat yourself. 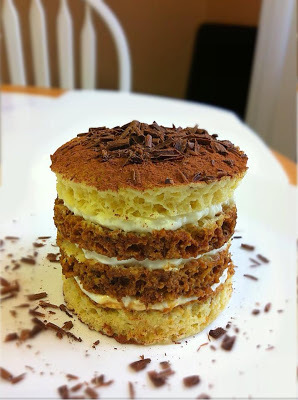 The third recipe that I would like to mention here is for a really nice looking Tiramisu mug cake that comes from lowcarb Ella. Ella has provided very detailed instructions on how to make this Tiramisu cake and judging by the picture it also looks really great. In total for each cake you end up at around 4 grams of carbs which is great for a keto dessert and I am sure you will enjoy this one as much as I will. 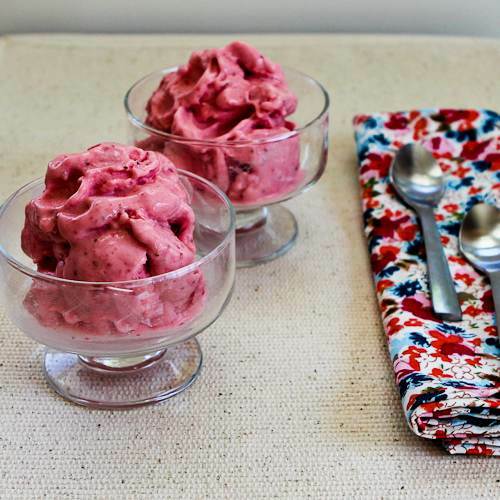 If you instead are looking for something that is much easier to make than the previous three keto dessert recipes then I would recommend this low carb strawberry frozen yoghurt from Kalyn’s kitchen. The recipe is very simple to make and as you probably know ice cream and other frozen keto desserts is a personal favorite of mine. If you want to try out a little variant of this keto dessert recipe I can recommend to replace the yoghurt with some cream instead. It will make it like a keto ice cream instead and also increase the fat percentage a little. The next recipe that I would recommend is a lovely flourless chocolate keto cake that comes from “this equals everything”. The recipe is quite simple since the only ingredients are vanilla, cream, cocoa, Splenda, baking powder and butter. The recipe ends up at 23g fat, 9g protein and 13g carbs which is quite high for being a keto cake. As the recipe says it is also recommended to add some additional whipped cream on top. If you like this recipe and have missed my keto cake with whipped cream then I recommend you to read through that recipe also. 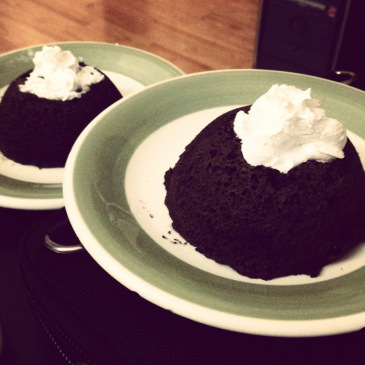 Those are the keto dessert recipes that I planned to share today. You can of course also head over to my keto fat bomb recipes or check out some really nice fat bomb smoothies to get more great recipes and ideas for keto desserts and other keto treats. Another one of my favorite keto desserts is the keto chocolate squares that I have also posted about earlier. Great on a keto diet and also tastes wonderful. I will keep looking for more great keto dessert recipes on the internet but please help me by posting your favorite keto dessert recipe in the comments. 5 Responses to "Keto Dessert Recipe recommendations"
I need all of these right now… They look delicious! I myself made a recipe for a keto friendly cake here: http://katlix.wordpress.com/2013/05/31/its-my-birthday-and-i-sing-if-i-want-to/ and other favourites of mine are the strawberry cheesecake: http://cavemanketo.com/2013/02/18/low-carb-strawberry-cheesecake/ from Caveman Keto and strawberry chocolate torte: http://buttoni.wordpress.com/2013/02/12/strawberry-chocolate-torte/ from Buttoni. Thanks a lot for sharing your recipes. They all look great. Where can i find the receipts. We just stared keto. I need something sweet. Your awesome for posting these recipes. Keto is the only lifestyle that keeps my weight down and to be able to enjoy sweets and not just boring chicken breast everyday is mind blowing. Thank you so much!!!! !